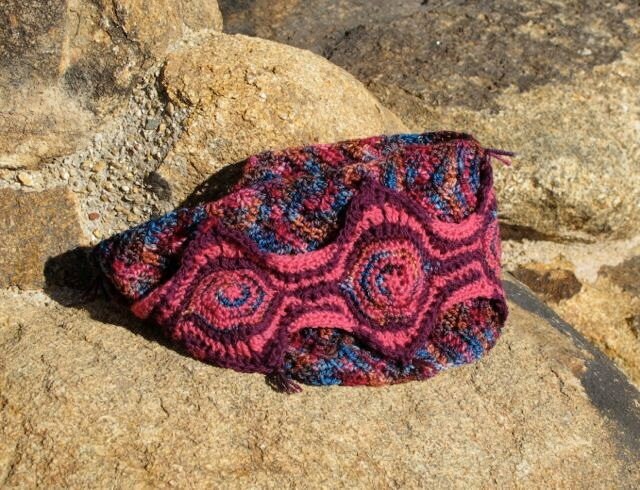 Talkin’ Revolution is a circular scarf pattern inspired by those amazing geometric designs of the late 60’s and early 70’s. It’s actually comprised of two pieces that are joined together creating depth and texture. The bottom layer is a multicolored chevron and the top is a bold, graphic design. The 30” length and 6" width will keep you cozy in a coat or can be worn all day with your favorite sweater or t-shirt. 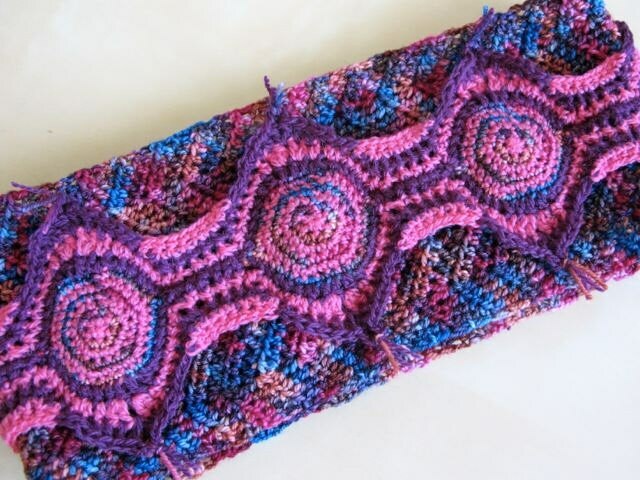 I hope you will enjoy this unique scarf, inspired by the past, but styled for today! 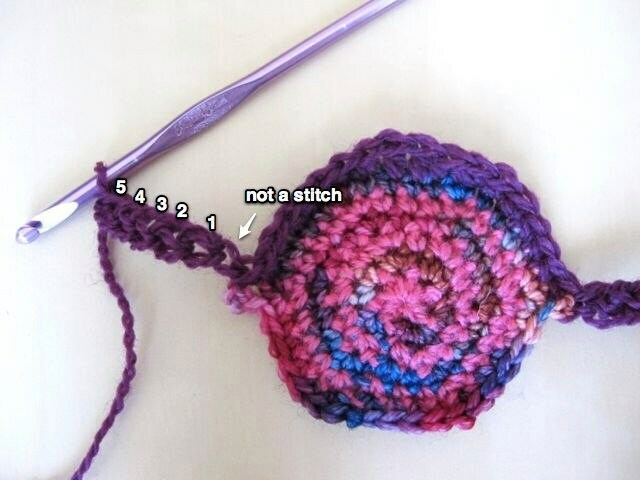 This pattern utilizes quite a few stitches as well as a little color work and construction. For those reasons I would categorize it as an intermediate pattern. I have included directions for the specialty stitches as well as 17 pictures to give visuals of the different sections. There is also a link to a companion video which shows the finishing technique. All of the pictures above are of the same scarf. You can see how the colors reflect the warm and cool lighting. This purchase is for the Talkin' Revolution Circular Scarf pattern only. It does not come with the scarf pictured here. 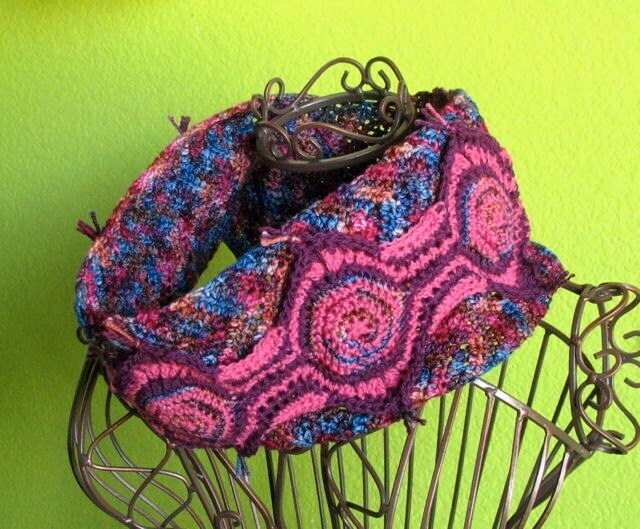 I hope you enjoy making the Talkin' Revolution Circular Scarf!